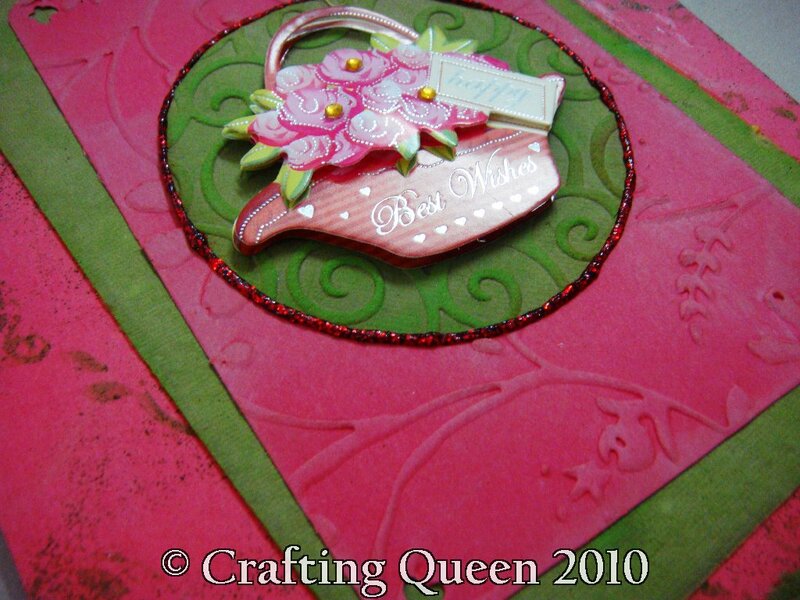 Crafting Queen: Pink n Green! I made this card sometime back and wanted to share with you all. IT began on a different line and ended up totally differently. he he. Something we all have experienced. I used cuttlebug and some sponging to get the shades. I don't have a corner rounder ans used a old cardboard photo frame to cut the corner shapes. You can see they arn't neat. For the top layers i used a Carl's corner rounder with a butterfly punch. I added a sticker for best wishes and a golden ribbon. The mettalic pink rose is from Itsy Bitsy and am in love with it. Hey beautiful card Karuna..I love the combination of colors!Loved the ribbon and the rose..the embossing is so pretty! love the color combination,the metallic rose and the sticker.Hey where do u get those stickers?its beautiful. Thats a beautuful card . I love the colour scheme. Fab card! Love the effect on the green paper strip! Very nice! Very pretty. Love the rose and the sticker too. love it ! Nothing wrong with those corners at all! 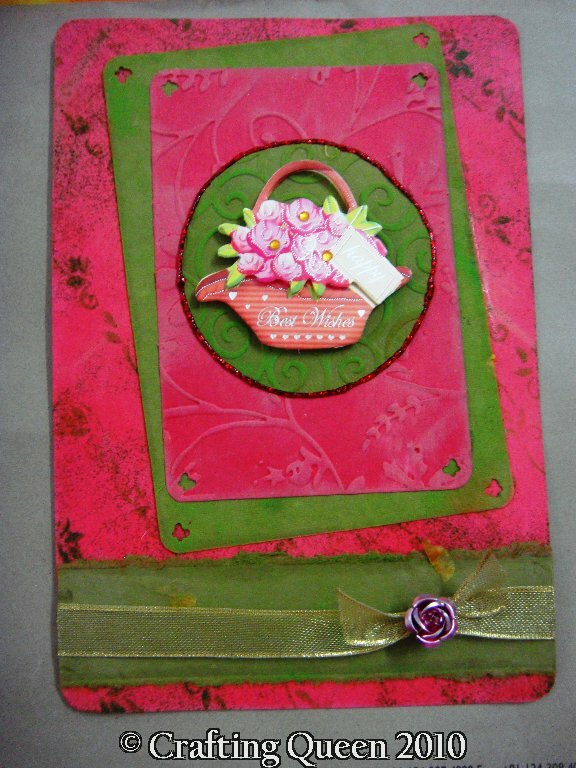 Grea embossing and color choice. Thanks for joining us at Creative inspirations!